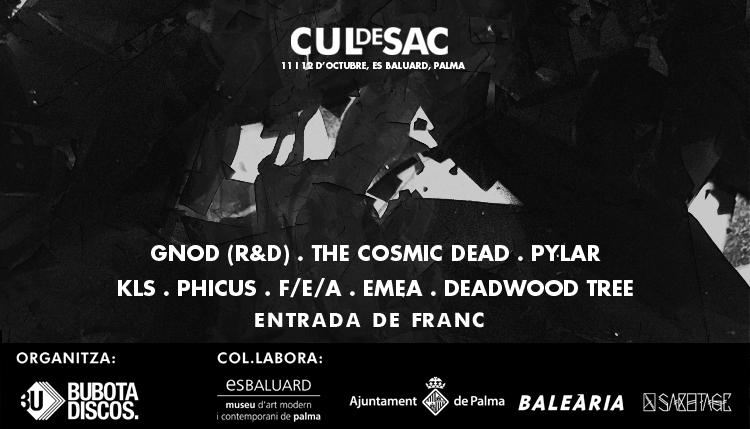 Es Baluard hosts the third edition of the Cul de Sac Festival, which will take place on October 11 and 12, 2018. Cul de Sac reinvents itself by offering a format for free activities with international concerts, where the public also You will be able to enjoy a diverse, transversal and dynamic cultural offer addressed to an audience ranging from 25 to 45 years, culturally restless and willing to discover new proposals. On Friday 12 noon, one of the novelties of the program this year will be a concert / vermouth in which a free jazz group will interact with an electronics producer, a way to bring different and exciting proposals to the general public of fun and festive way. The construction of a poster with coherence to Cul de Sac’s approaches and a greater investment effort at all levels makes the projection of this initiative not only encouraging the local public, but also going further and generating new strategies for to attract the state and, in the long run, the international. After two editions (2016 and 2017) that have served as the first contact with the local public, Cul de Sac intends to take a step forward: to grow the proposal without renouncing its innovative spirit.